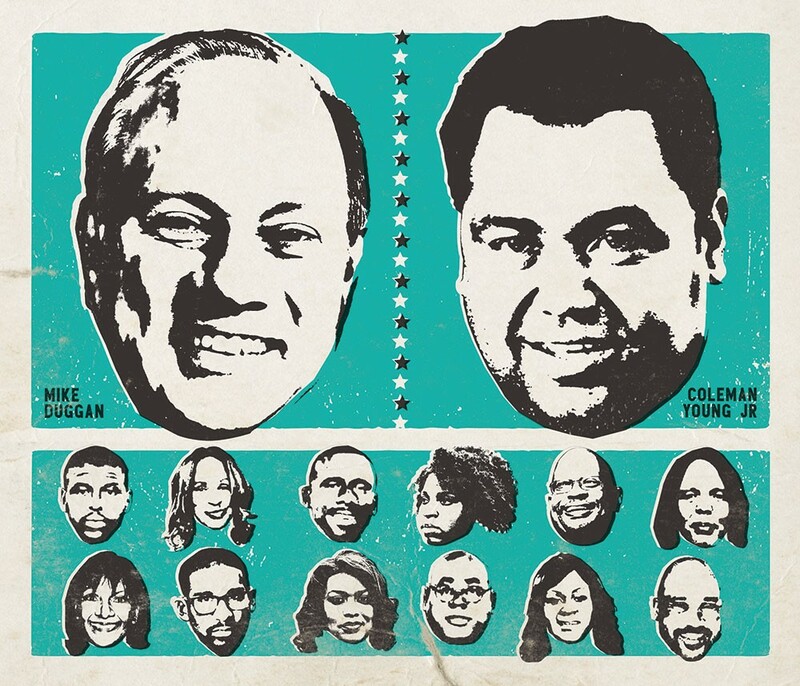 For those who've been paying cursory attention to the Detroit mayor's race, it may seem as if city residents have just two choices in this election: incumbent Mayor Mike Duggan and challenger State Senator Coleman Young Jr., the son of Detroit's first African-American mayor, Coleman A. Young. Though the two are widely expected to be the only mayoral candidates to make it onto the November ballot, on Tuesday, Aug. 8, Detroiters will actually have a dozen additional people to consider when they cast their votes in the mayoral primary. Six of those candidates will have their names listed on the ballot along with Duggan and Young, and an additional six are running as write-ins after being disqualified by the elections office for failing to meet residency or signature requirements. Because it takes only a Detroit address and 500 valid resident signatures to run for mayor, the race has drawn a broad range of contenders. Some are unemployed, some have criminal records, and some did not make it through high school. At the other end of the spectrum, there is the former vice president of Meijer and a Detroit public school principal with his Ph.D. in African American and African studies, education, and public policy. Luckily for Duggan and Young, the people most qualified for the job have been made to run as write-ins due to issues found by the elections office that the candidates say range from "illegible signatures" to improper dates listed in entry fields. One contender has sued the office for having been disqualified for reasons he deems invalid. 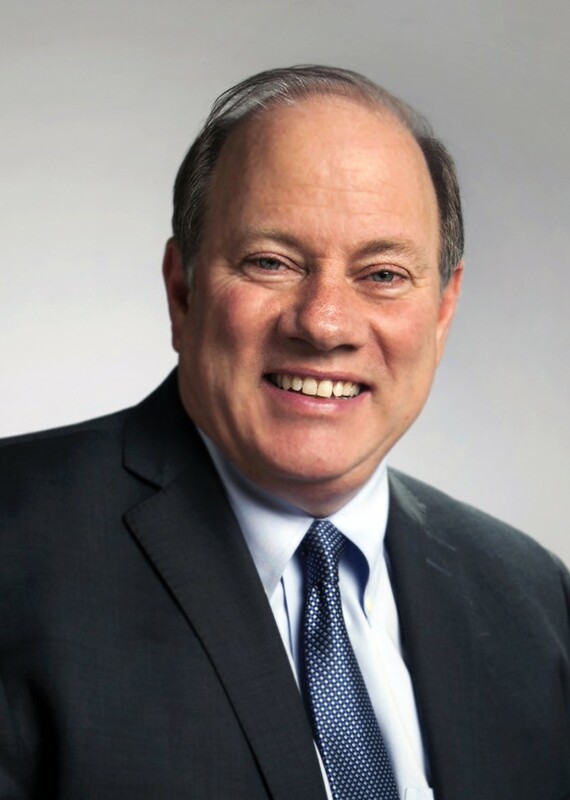 Of course, with Duggan predicted to win the primary and general elections by wide margins, his apparent unwillingness to enter the fray may make for smart political strategy. 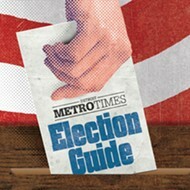 A May survey of 400 likely primary voters found Duggan leading Young 55 percent to 23 percent. Yet the Target-Insyght poll also found that about half of Detroiters believed crime, blight, and poverty had increased under Duggan, despite the fact that 53 percent of Detroiters believed the city was pouring more resources into their neighborhoods than it had in the past. Regardless of the general perception that more is happening for the neighborhoods, the "two Detroits" narrative was a common theme the 13 candidates running against Duggan played upon in an effort to show he's not doing enough to help out average Detroiters. In the candidate profiles that follow, you'll see what each candidate says they'd do differently in order to improve life for the many residents still struggling beyond the city's booming greater downtown. 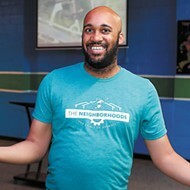 William S. Noakes Jr. first came on our radar during a spring "policy and the city parlor talk" — an effort by some mostly white 30-somethings to gather input from Detroiters on what kind of policies they'd support. The group hosted the event in Midtown and began by sharing its own thoughts about what's important. When they solicited comment from the crowd, Noakes stood up and told them they came off arrogant. What they should have done, he said, is brought their event to the neighborhoods. While the 60-year-old Noakes certainly looks like a politician — tall, bespectacled, and often sporting nice clothes — his frankness gives away that he's never been one. He's instead spent his life as a power player in the legal and business realms, with his few forays into government and politics marked by roles behind the scenes. Noakes is the only candidate with a resume that rivals that of Mayor Mike Duggan: He's been executive vice president of Meijer, deputy corporation counsel for Wayne County, an attorney with the Securities and Exchange Commission, an adjunct professor, and a private practice lawyer representing companies like GM, Smith & Wesson, and Wal-Mart. Noakes has lived in Detroit on-and-off since 1988 and calls the city home. He keeps an address at a luxury high-rise along Jefferson, but says he knows what it's like to have less: He spent part of his upbringing in the projects of Washington, D.C., and, at one time, says he had to steal to make ends meet. On Detroit's "turnaround": "What people don't get is it has taken nearly 30 years for downtown and Midtown to get to the point where they are. For [the] rest of the city to develop, if it were to develop at the same pace, it would be almost 600 years before the point we could say we've arrived." Priorities: Jobs, public safety, breaking down the walls between people to address racism and classism, improving education, and being strategic with housing stock — "it can't all be bulldozed or sold off to investors," he says. Plans: Noakes spent the bulk of our half-hour interview discussing job creation. He insists that development jobs, big and small, should go to Detroiters — and says it's not enough to make big companies that don't hire enough locals pay a fine that then goes toward job training (as is Duggan administration policy). He's disturbed that no Detroiters were hired to help build the new park where the '67 riots began and that few Detroiters worked on the QLine (Noakes gleaned this information through conversations with work crews at both sites). "I mean, we're talking about people swinging pickaxes and shoveling dirt," he says. At a campaign forum in July, he was one of the few candidates to come out in support of requiring again that police, fire, and EMS employees reside in the city. "Too many people focus on 'we got to make Detroit like it was.' Manufacturing doesn't exist anymore, but ... we can probably bring back 10,000 jobs to Detroit from around the world. ... How do we start to train people in the world of information technology?" "[We need to offer] vocational-technical training. One of the things I would do is reach out to Volkswagen to help us set up an apprenticeship program in automotive manufacturing skilled jobs. ... They have an obligation to the U.S. government [to show they've mitigated the harm they've caused in] the emissions scandal." "If we could salvage 20 to 30 [shuttered factories] and begin to use them for ... the creative arts, or for an innovation center, then ... we will employ people who will create things that then employ more people." "We're talking about Detroit becoming the center for autonomous driving, well there's some work people could do right now fixing our roads." Dr. Jeffery Robinson is a principal in the Detroit Public Schools Community District and the most educated person running for mayor. A product of Detroit's Mumford High School, the now-48-year-old has spent his entire life in an academic setting, with degrees from the University of Detroit-Mercy and Michigan State, and more than 25 years in teaching and leadership roles within Detroit public schools. 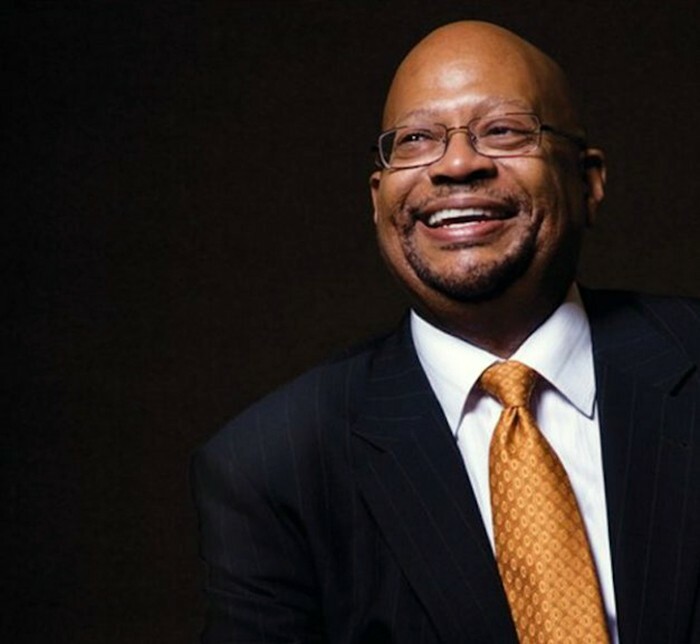 Robinson's highest-level degree is in African American and African studies, education, and public policy, which Robinson says is the first doctorate of its kind to be awarded by a Michigan university. He currently presides over Paul Robeson Malcolm X Academy — the first public school in the country to provide an African-centered curriculum. He's also the pastor at Mt. 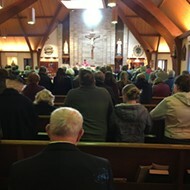 Calvary Missionary Baptist Church. On Detroit's "turnaround": "Michigan State has a term called 'uneven development,' and for me that perfectly describes what has happened in Detroit. We're in a renaissance that was not purposed for the entire city, but only for a certain section, or a certain class of the city, and that was those individuals who were able to move into the Midtown and downtown, and, as we already know, some of the people [there already] were transplanted. ... My gauge for a turnaround would be when the renaissance that is taking place in the city encompasses the whole city. Development should provide a tide that raises all boats." Plans: "Being honest with what is happening and why it's happening, not taking it and trying to politicize it. A lot of the economic development that has happened in the city has not been due to innovation or a vision on the part of this mayor, it has been according to a well-scripted plan of adjustment as we emerge out of bankruptcy — which we're still in; we're still being monitored by the [Financial Review Commission]. As part of the plan of adjustment ... the city had to ID sources of future income that would satisfy its debt. One example is the [increase in] parking tickets, [that are] now an average of $45. That increased revenue for the city ... is being directed to our creditors as a condition of the plan of adjustment. This is [also] why Midtown and downtown have received all of the attention ... they were the areas that was more fertile for development. So when you talk about the Little Caesars Arena, the Pistons practice facility, Dan Gilbert's [proposed] building on the Hudson's site, these are all revenue-generating entities from which the city is able to direct revenue to its creditors. "I get the constraints of the plan of adjustment, [but I want] a 'big ask.' When you look at, for instance, the Pistons, the only thing that the city asked of this billion dollar organization was for about  basketball courts. One way we could have developed the city while still meeting the terms of our plan of adjustment would have been asking these billion dollar teams — which we will soon have four in our downtown area — to repurpose, for instance, our recreational centers. 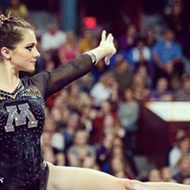 Each team could have taken two or three rec centers, fixed them up, and raised money to maintain them." For the strategic development our neighborhoods, "look in the many diverse and culturally significant areas and develop based on those needs. We know recreational centers would be a wonderful addition, [and we need to ensure] there are quality schools in all neighborhoods. I would partner with the schools' superintendent, who has a lot of innovative ideas, and go to Lansing and demand the proper funding for education here in the city." 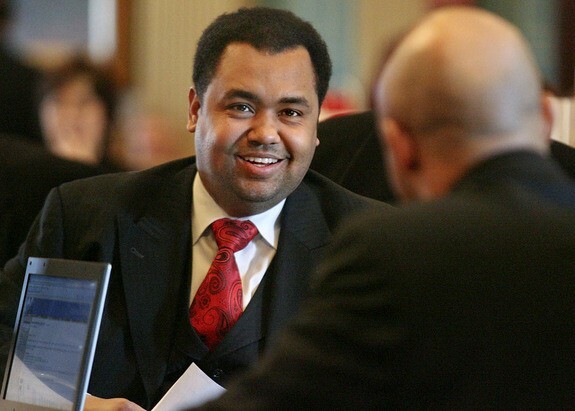 With name recognition and a total of 10 years spent representing Detroit and neighboring areas in the Michigan House and Michigan Senate, Coleman Young Jr. — son of Detroit's first African-American mayor — ­­is Mayor Mike Duggan's biggest competition. Young Jr., 34, has sought to establish himself as a more progressive alternative to Duggan, saying that, if elected, he would "undo the constitutional breaches triggered by the unconstitutional Emergency Manager Law and the Bankruptcy." 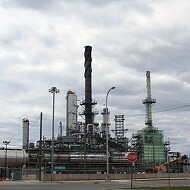 Young's campaign platform includes plans to restore the pensions of retired municipal employees and to take back city assets like the Detroit Water and Sewerage Department (its facilities were leased to the Great Lakes Water Authority during bankruptcy for $50 million per year) and Belle Isle (the city leased it to the state when it could no longer afford to take care of it). Young has not made clear, however, how he would go about trying to accomplish these things. Young Jr. was raised under a different name in California by his mother, a former Detroit public works official. 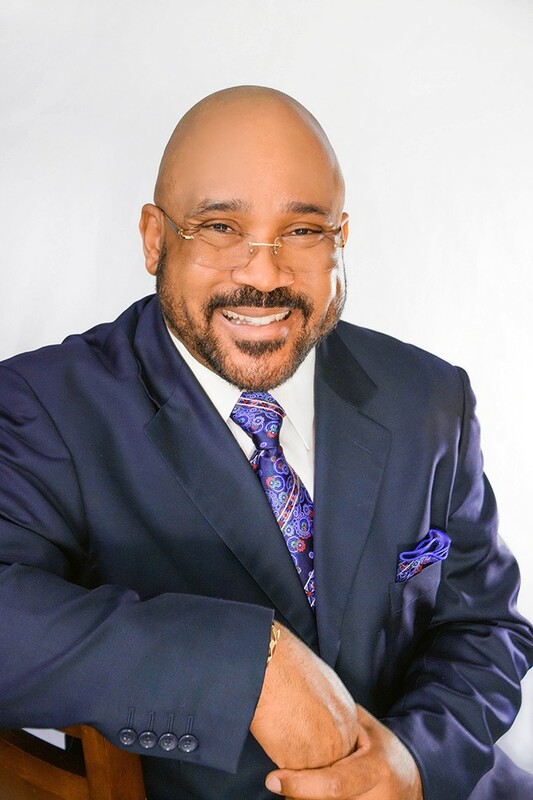 Initially, former Mayor Young had denied Young Jr. was his son, but a paternity test proved otherwise and, eventually, Young Jr. returned to Detroit. 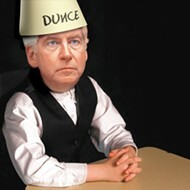 In 2005 he became an intern in city hall, and just two years later was elected to Michigan's House of Representatives. According to The Detroit News, Young has sponsored a total of six bills that have been signed into law since taking office. They include legislation that gave paid maternity leave to pregnant police officers and firefighters and legislation that required residents to be notified before being ticketed for ill-maintained property. On Detroit's "turnaround": As Young and his team were out canvassing last month, he says "one volunteer got bit by a dog one week, then we witnessed a crime in progress the next week, where a woman shot a guy who was trying to break into her house in broad daylight. "Don't tell me they've got crime under control and that the city is turned around ... 48 percent of the city is living in poverty. Whatever [city officials] are trying to turn is clearly not working for almost half the city." Priorities: "Jobs, crime, education, redlining in auto insurance, and gentrification." Plans: "Have community development corporations set up in areas that have been hardest hit. I also want to raise the minimum wage to $15." Young says he would "treat violence like a virus" and work to pinpoint the root cause of crime in the city with help from the Centers for Disease Control and Prevention's Violence Epidemiology Branch. He would also "partner with hospitals to provide wraparound services, specifically for gunshot victims, because gunshot victims are statistically more likely to become gun perpetrators the second time around." "In terms of education, I think we need to have community schools with wraparound services so your job training, your tax preparation, your health care are all right there. I also think we should have expanded learning times — longer school days, longer school years." "We need to have an office of opportunity — where they coordinate poverty programs with state and federal. I also think we need to have information campaigns about the Earned Income Tax Credit, and the city should have it's own Earned Income Tax Credit." "I want to build something called Skytran and basically what that is is elevated transit, it uses Maglev electromagnetic technology. It's a personal transportation pod, personal rapid transit. This will probably go from New Center all the way to Eight Mile. It's about $9 to $13 million a mile, which is much cheaper than light rail, which is about $100 million a mile." Donna Marie Pitts is so mild-mannered that when her turn was skipped at a mayoral candidate forum, it was a rival who piped up about the oversight in order for her to get the mic. "I'm more of a fighter than a talker," the 58-year-old said. A two-time felon with no government experience, Pitts says she has gone to court over abuse by correctional officers and won. She also regularly writes to politicians in an effort to influence change, and claims it was her prodding that prompted former Governor Jennifer Granholm to create an offender reentry program and former President Barack Obama to create a grant program rewarding teacher performance. Pitts is a currently unemployed tradeswoman with experience in carpentry, roofing, and almost all other elements of home building and repair. She believes teaching Detroit residents trades can help turn the city around. She also views Detroit's layout as a hindrance to the city's success, saying the downtown should not include housing. "It shouldn't be where people live, it should be where we entertain people," says Pitts. "It's like putting a bed in your living room." On Detroit's "turnaround": "I don't see the turnaround, all I've actually seen is abuse of Detroiters — hauled down to court with these high tickets, a steady amount of foreclosures... I go out of the house, every time I look around there's three or four more empty houses. Only change is in the downtown — which is not for me." Priorities: "We got to reduce crime, rebuild our community (put our houses where they belong), get our public educational system up to par. We need income here, money here, there's no money here for the public schools, no jobs here for our Detroiters." Plans: "I would like to relocate people to Detroit's [more populated neighborhoods] and just give people [Land Bank] homes and keep their taxes the same ... to incentivise them to move. I feel half of [the houses being demolished] could be saved; it takes you $16,000 to tear it down, it could take me less to rebuild it." "I want to start businesses, [and loosen restrictions on marijuana] dispensaries. We got Canada right across the border, so that can bring wealth here ... I would like to have some of these younger, new-coming basketball players, Paris Hilton come here with their stores and line 'em up and down Woodward so people would want to come across the border. [It would] also give our kids jobs. 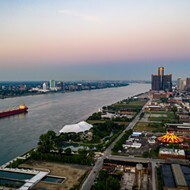 I would like to have an amusement park here, like Cedar Point with all the rides, we've got all that company right across the border ... [Make Detroit] a tourist city." "I would train Detroiters for the positions [available]. The money can come from starting a Detroit lottery and also, if needed, we could tax for it, something like five cents." Articia Bomer instructed us to "prepare to be amazed" in an email ahead of our meeting, and she did not disappoint. Preceded by a 42-second voicemail greeting in which she details poll times and excuses herself for not answering because she's "probably out serving the community," Bomer showed up to our meeting well-coiffed in a royal blue dress with matching nails and black patent heels. The 45-year-old spoke with nothing short of star-power, twice bursting into song and at one point, breaking down in tears as she pulled from her bag evidence of her lowest point: an old clipping from a front-page story in The Detroit News about homeless people during the holidays. Pictured was Bomer, clutching her then-7-year-old daughter. 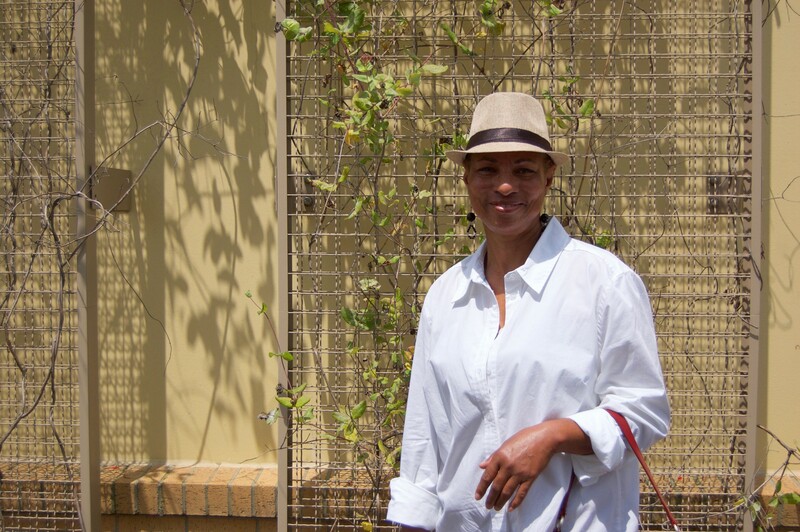 "My daughter [recently] said 'mom, we was on the newspaper sad, can we get on there and be happy?'" Bomer says. "Imagine making it on the front page to be the mayor." What has prompted Bomer to run for Detroit's top office can probably best be described as a maternal instinct for the citizens of Detroit (she devotes much time to helping the homeless) coupled with a general fascination with politics (she attended the Trump inauguration and says she campaigned for Mayor Mike Duggan in 2013 by driving around a white car with the words "your next mayor" on it). The Wayne County Community College grad and former Chrysler floor manager-turned-document specialist has never worked in government, but what she lacks in experience, she hopes to make up for with charisma. "They didn't get Hillary, but this is their once-in-a-lifetime chance again to say, 'I'm with her!'" she says. On Detroit's "turnaround": "A turnaround looks like downtown. They keep turning around and turning around and turning around [does lengthy spin]. It's like we on a merry-go-round downtown. Downtown is like the heart of Detroit, but the uptown communities are the body, and the heart can't beat if it doesn't have a body." Priorities: "The things I would crack down on is safety — because no one wants to be looking over their shoulder feeling like they're unsafe — cleanliness and housekeeping — meaning you have to be clean, we have to clean up the streets — and then job creations." Plans: "I want to set up shower units all around the neighborhoods with a security guard in there to make sure these people taking showers, no one getting raped or anything like that. If you clean the homeless people up, the buses won't smell, the streets won't be so dirty. I will pay [the homeless] out of a petty cash fund to work daily picking up trash and cleaning up the streets. 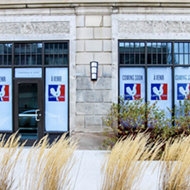 We can get a Detroit labor-ready building, where you work that day, you get paid that day." "We want to get armed security at gas stations, churches, and liquor stores; I call it NAS — Neighborhood Armed Services. Everybody would have to pay a tax every year to keep these people afloat but the [federal] government would fund us too. I would use my ties with Donald Trump, I would write to him and let him know that this is what I want for my city." "I want Grand River to be a Vegas setting. We need more lights, we need more cameras, we need more action. It would be a much better, much safer environment if we made Detroit a 24-hour city ... in Las Vegas I rode the bus at three in the morning, it felt like three in the afternoon. 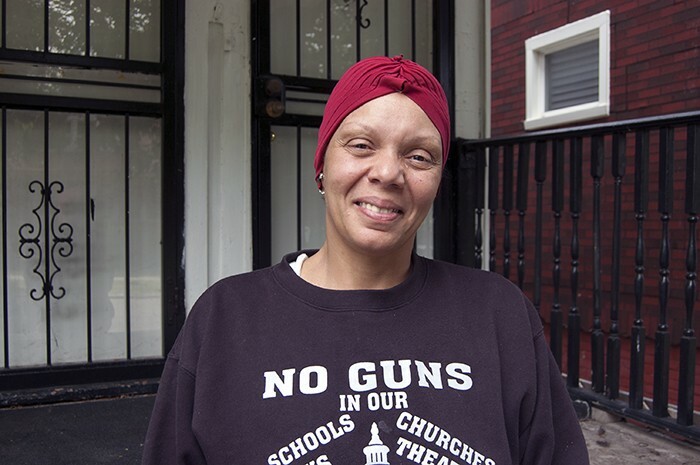 It was too hard for you to try to rob somebody because that's how many people were out." 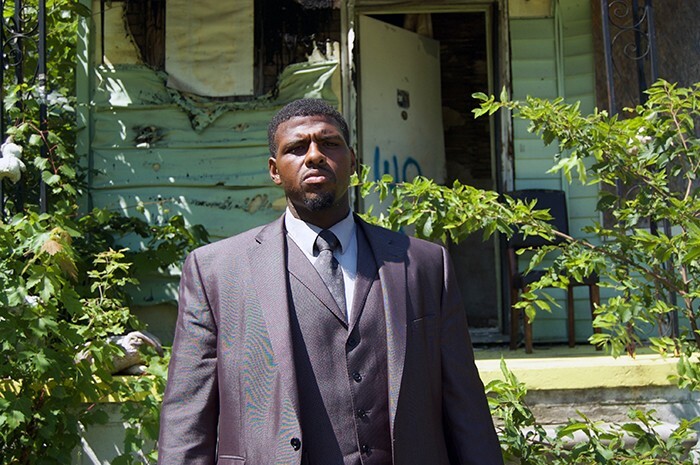 To get to Curtis Greene's home on Detroit's east side, you have to pass a series of crumbling houses and overgrown lots. The white vinyl-sided ranch the 32-year-old calls a "diamond in the rough" is the second hidden gem he's called home. Greene grew up on another blighted block across town in Dexter-Linwood, in a house he says has since fallen into the hands of "crackheads." It was in that same neighborhood that Greene saw bodies drop during a 2015 block party shooting where 11 people were wounded and one person was killed. These kinds of experiences are what have motivated Greene to get involved in politics. His first efforts were actually made as a canvasser working to help get now-Mayor Mike Duggan elected, but he's since grown disillusioned by Duggan's performance. 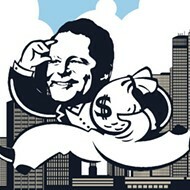 "How is it that a mayor with all these major, major connections to billionaires can't help the city thrive collectively?" asks Greene. Greene is an author and ordained minister with a master's in marketing, but his resume didn't always look so stellar. For years, he was a drug dealer, influenced by his father's run with criminality. Greene's turning point came a decade ago, when he says he "turned to God" after a 19-year-old to whom he'd sold pills killed himself. But such activity — which earned him a criminal record — continues to hamper Greene's success today, and he was recently let go from a job due to a prior felony conviction. 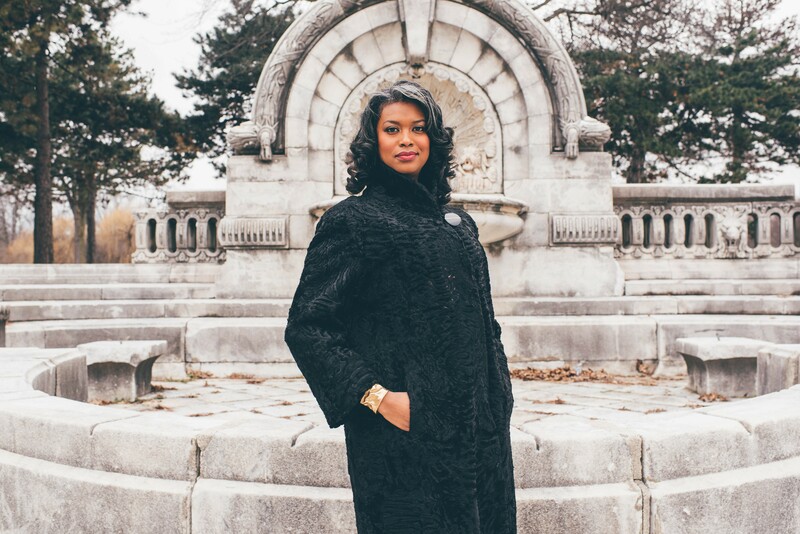 Central to Greene's campaign platform is the notion that Detroit must become a "city of second chances" where everyone has an "equal opportunity to succeed." On Detroit's "turnaround": "You see this?" he says, pointing down the block. "This is the only functional house on this whole side of the street. 'Detroit is coming back, Detroit is coming back.' Yeah, closer to the water it's coming back. It's not coming back here." Priorities: Greene says he wants to address redlining — high insurance in certain zip codes, loans, and "discriminatory appraisals." "If we don't [do these things] ... we're going to continue to lose people," he says. "When you gentrify somewhere, it leaves a hole in the population ... sure you may have made the city whiter, you may have brought executives to your city, but your people are leaving." Plans: Greene says that, if elected mayor, he would rely on his "state-wide connections to lobby against insurance red-lining." Similarly, he says he would have lobbyists work to ban criminal history questions from job applications in Michigan. "Rehab structurally-sound abandoned buildings to create sites with free educational and skilled trades courses through [philanthropic investments] and government subsidies." For population retention, "I would create a program called the 'I Dream Detroit' incentive for students who graduate from local colleges and universities [and stay two years]. They can auto-qualify for grants up to $10,000 and the money is going to come right back." "I want to build a mall, call it the 'Mall of Michigan,' give the city that wow factor. Every other major city has a mall. I want to make it twice the size of Somerset mall in a highly desolated area of Detroit ... that's close to a freeway." 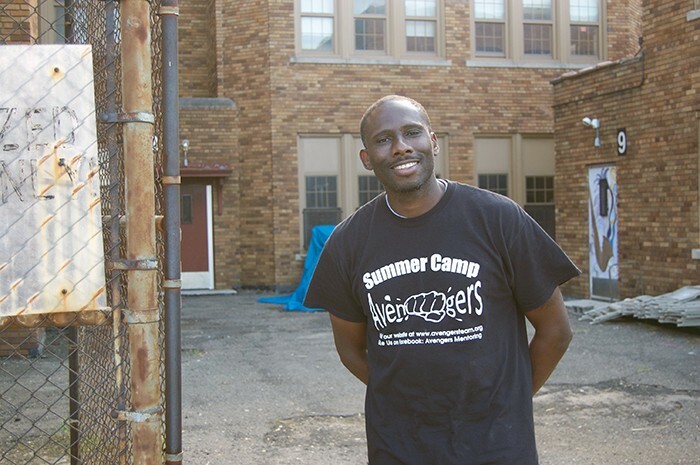 As a substitute teacher and CEO of the nonprofit Avengers Youth Mentoring Organization, Ed Dean believes the key to solving Detroit's problems is engagement. His faith in the effectiveness of getting people involved is what drove him to start his youth organization in 2010, after he observed his daughter idling at one of the city's few remaining rec centers. "There was no guidance and she came home and started telling me horror stories." Seven years later, the 40-year-old's youth organization is highly sought-after, with its free summer camp program at full capacity with more than 100 enrollees. The organization offers kids' entrepreneurship training, speech and debate lessons, politics training, chess club, and art and sports activities. For Dean, the problem with the changes happening in Detroit is that they're top-down in nature, and when good things do come to the people most in need, they're not fully involved in decision-making and implementation. "We need to start involving the people in these certain communities about what they want instead of just putting anything in there," he says. "[Then] provide the resources and facilitate the programs to get it done. If they ask for a basketball hoop, put a program in place so they can build it. Show them how to design it and draw it up; let them put their names on it." Dean says his mayoral bid was inspired in the same way as his youth program: by "the voice of a child." It was when kids enrolled in his program expressed a belief that they "could never amount to anything" that he decided to pursue the mayorship. "Just hearing that, 'I don't have hope, I don't believe I can, but now Mr. Dean is running and, wait a minute, I have hope.'" On Detroit's "turnaround": "I think it's turning, but not all the way around. I live in 48205 zip code, and it's still considered one of the worst zip codes in the nation." Priorities: Dean says he would focus on economic development in the hardest hit communities, accessible housing, and crime reduction. Plans: "Each district needs a community development source, like a Campus Martius downtown, where everybody can come and patronize businesses around that. Small businesses in the community .... are the first ones to hire people in the community. So [we need to] get the small businesses back up and show the business owners how to sustain in the community." "Accessible housing... right now, it's a $1,000 starting bid to get a house through the Land Bank and then you got to bid out ... so if I get a house for $10,000, now I got six months to bring it up to code. If I'm on a fixed income living under the poverty line how am I going to put a $10,000 roof on in six months if I just gave you all I had to buy the house? We need to bring it down to a $100 starting bid, then give two years to bring it up to code, as well as provide people with some sort of mentor to teach them how to bring it up to code." "With crime, I don't think [people] realize that the [solution] is preventing the crimes from even occurring. ... The [majority] of crimes are committed by youth. [So we need] more programs for the youth; trade programs, more mentors, more of that 'what is your vision, OK, let me show you how' ... and if we do that we'll see a change." Angelo Brown has never served in the Navy, so we were puzzled when we saw him show up at a July candidate forum sporting a naval hat. But upon taking the stage, he addressed our curiosity, breaking out into the opening verse of the Gilligan's Island theme song and cutting himself short with an intro: "I'm Angelo Brown, and Detroit is not Gilligan's Island." 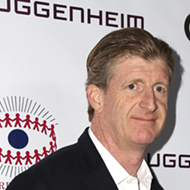 At 54, Brown has taken more cracks at the mayorship than any of his 13 competitors, trying unsuccessfully to make it to the Manoogian Mansion five times so far. The 54-year-old hopes this, his sixth attempt, will be the charm. "I want to be the mayor of the neighborhoods," says Brown. 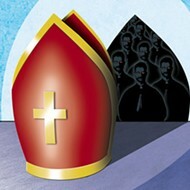 Brown says he lacks experience in governance, but has previously led a church congregation as a pastor. He says he has also worked in security for 35 years and is a notary public. Brown has taken courses at Wayne County Community College and the University of Phoenix. On Detroit's "turnaround": "The neighborhoods have been greatly neglected and abandoned ... Our mayors give our downtown 90 percent and they give our neighborhoods 10 percent, and it's time for our neighborhoods to get 90 percent." Priorities: Brown says he would focus on crime and the economy. Plans: "I want to set up monthly workshops in [four locations throughout] the neighborhoods and they will deal with anger management, addiction-based problems. ... We'll have speakers, literature, and we'll be able to route people to other organizations. These events are crucial for Detroit right now because we have a lot of problems we didn't have in the past. "Workshops will include parent workshops for single parents ... and for low-income homes. We'll have economic workshops for people which will deal with people that wanna start businesses, helping them with graphs, helping them with paperwork, and we'll have workshops for folks to help them do resumes, help them do interviews. ... The mayor's office will be on wheels and we'll be able to come to different locations within the city to work on the problems people are having." "I will stand with the unions and nonprofit organizations for better wages, living wages — for wages that people can be able to rent houses and pay car notes. "I'll work on these insurance problems on vehicles and the problems with folks losing their license with tickets that you accumulate downtown. These [parking] meters need to be removed so people can shop downtown freely like they do in the suburbs." On our first attempt to make contact with DaNetta L. Simpson, she was down at the elections office disputing an error in the printing of her name on the mayoral primary sample ballot. Officials had made the "N" in her first name lower case. The second time we went by Simpson's home in Detroit's 48214 zip code, she took us upstairs to her apartment, which doubles as a makeshift campaign headquarters. The smell of fresh paint filled the living room, where Simpson had just scrawled her name across a poster board. Her dining room table was covered in buttons and flyers advertising her current mayoral bid and past, unsuccessful efforts to make it onto city council and the Michigan Senate. Simpson says she decided to get involved in politics after a stint living in Detroit's Berry subdivision, where the Manoogian Mansion sits. "I saw the city wasn't being ran for self-sufficient, it was being ran by a bunch of people who wanted to profit off the city," she said. 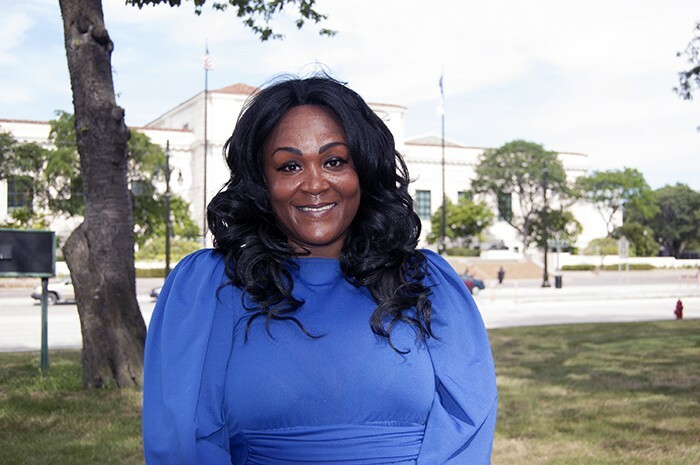 Simpson, who is 46, has never worked in government, but credits herself with restoring independent trash and bulk pickup in Detroit and helping improve police response times through her advocacy efforts. She also says she founded the first reentry program in Michigan's prison parole system and has served as a policy representative of a Head Start program, a pre-K offering from the federal government. Her leadership experience includes having owned a salon. On Detroit's "turnaround": "Detroit will turnaround when the neighborhoods have been improved. Housing is stable, lawns stay manicured, and people are keeping their homes in good shape." Priorities: Blight, crime ("there are too many CPL holders being negligent"), schools, and protecting city assets. Plans: Simpson says that, if elected mayor, she would stop condemning and demolishing vacant houses she believes can be saved, because "they could have kept the homes on the tax base and people could have stayed in them." She would also push for smaller class sizes in an effort to improve the Detroit Public Schools Community District. On crime, she says she would get more officers on the street while giving them a raise. And, as a member of a family that has been impacted by gun violence, she has developed a novel concept to offer victims financial help. "A lot of people [are getting a hold of] guns, family members finding their relatives' guns and killing themselves, injuring themselves," she says. "Those type of injuries are not covered through insurance. But if you have insurance on your CPL, those things will keep health costs from rising. It protects [CPL holders] as well, may even help [them] hire an attorney. If you can insure a car why not insure a firearm? ... My sister, she only got $2,500 from the state [crime victims compensation fund] when her husband was killed. It's not enough. Do you think your child's life is worth more than $2,500?" 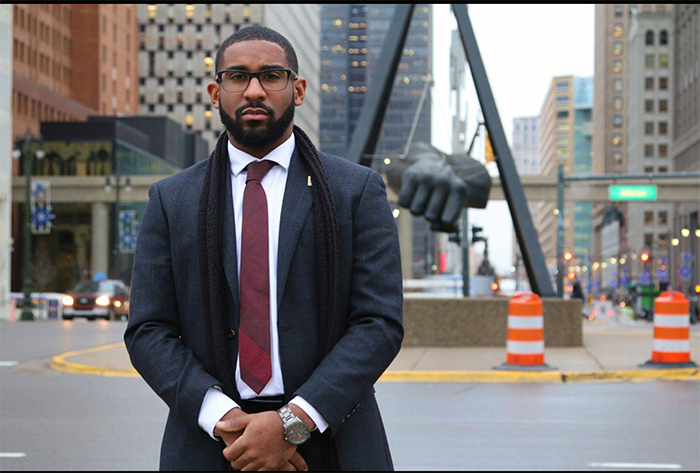 At 21 years old, Ken Snapp is the youngest person vying for Detroit's top office. The Cass Technical High School graduate left the city four years ago to play football at Notre Dame College in Ohio, but has since dropped the sport and put his energy into obtaining a degree in political science. Snapp's political experience is minimal — with only an internship in Detroit Councilmember Andre Spivey's office to boast — but he brings a millennial savvy to the campaign trail that could take him further than his competitors. Snapp's sleek website (most of the candidates don't even have one) is loaded with professional photos of himself posing around Detroit in a tailored suit. But for all its glamour, the site is light on information. We caught up with the well-spoken and polished young gent to hear what he stands for. Priorities: "Education, jobs, and blight." Plans: "Education needs to be reformed if we want to attract long-tenure residents, and also our future is more than ever at stake if the children are not given the tools to be successful. We must completely restructure our education system so that it benefits our children. "Jobs need to be created by expanding our public works department. My plan is to make funds available, so that we hire Detroit residents to begin a cleaning crew that cleans each district around the clock. "In regards to blight, I would have to wait until the current federal investigation of the current administration and Detroit's Land Bank is over to give a more precise answer." Brenda K. Sanders is a former lawyer and 36th District Court judge who was removed from the bench in 2015 after the state's Judicial Tenure Commissioned found her "mentally unfit" (a decision she disagrees with and has since sued over). Since 2016, Sanders says she has been running a nonprofit through which she helps prepare legal documents for people who do not have an attorney. Sanders is also an ordained minister and harpist. She previously ran for mayor in 2008. Priorities: "High auto insurance, water-shutoffs, the lack of low-income housing." Plans: "I would propose a city-wide moratorium on enforcement of 'no insurance' infractions. The moratorium would be temporary and help to curb driver license suspensions due to the lack of insurance. My second effort would be to impose a city-wide boycott against those insurance companies that desire to do business in Detroit. The boycott would force insurance executives to negotiate auto insurance rates comparable to drivers of similarly situated cities." "To address the water problem, I would offer water-bill forgiveness for those Detroiters that cannot pay their bills. Additionally, I would enforce the promise of the Great Lakes Water Authority to provide water subsidies to help those that are indigent. The water subsidy fund was contracted to be $4.5 million annually to provide assistance for those that could not pay their bills. I will not let water, a cheap commodity, to be used as a tool to evict Detroiters from their homes." "The Federal government has an $8 billion tax credit program that offers incentives to developers to build and rehabilitate low-income housing for poor families. I am sure that there are also comparable programs at the state level. I would lobby for any and all monies that are designated to construct and maintain low-income housing for Detroiters." Though it's her first time involved in politics, LaFleur, 39, is well-known in Detroit's art scene for her curating work with Afrotopia. Through Afrotopia, LaFleur has curated film festivals, a book club, meditation sessions, and an archive of Afrofuturist work. Priorities: "The main issues facing Detroit today are inefficient government, penalization and displacement of the poor, and lack of preparation for the future." Plans: "Detroiters should never be without water, food, shelter, and energy. ... City government should be thinking of innovative ways to ensure access instead of cutting off their services and fining them. Shutting off water only exacerbates the problem, creates a public health crisis, and increases desperation levels. ... This is not sustainable. We must go to the root cause of the problem to create healthy, viable, and solid solutions that not only end the cycle of poverty but also lead to a path of wealth-building. As mayor, I will stop the water shut-offs, put a moratorium on property tax foreclosures of occupied homes, and look into ways to co-op renewable energy as seen in cities like Barcelona." "As mayor, I will attract and invest in industries, such as the creative industry and the cannabis industry, in order to strengthen our local economy. Digital literacy is a necessity. In order for that to happen the school systems must create a curriculum for every child that includes coding, 3-D printing, robotics, the arts, and more so that our youth are prepared for the future, which is rapidly developing now. To further support the digital literacy effort, access to the internet is essential. As mayor, I will create a municipal internet system. City-wide internet will assist in delivering better health services, increase civic engagement, and create avenues for more training in areas sorely needed for the development of our city." 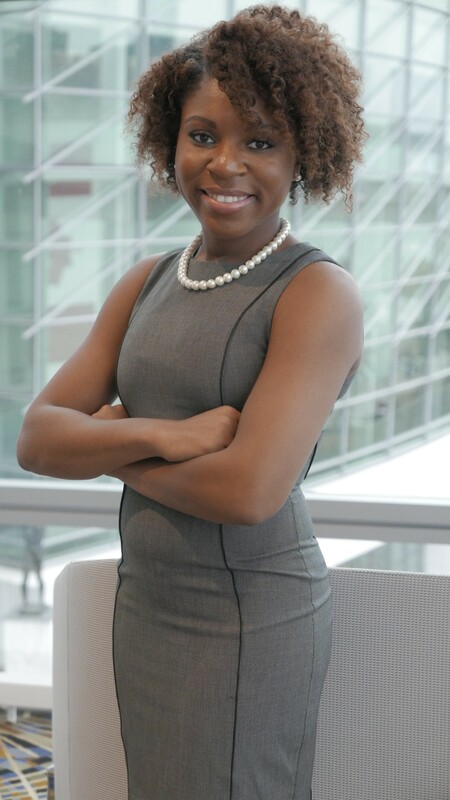 Jones, 22, announced her candidacy while finishing up her studies at Michigan State University, where she earned a degree in business management. 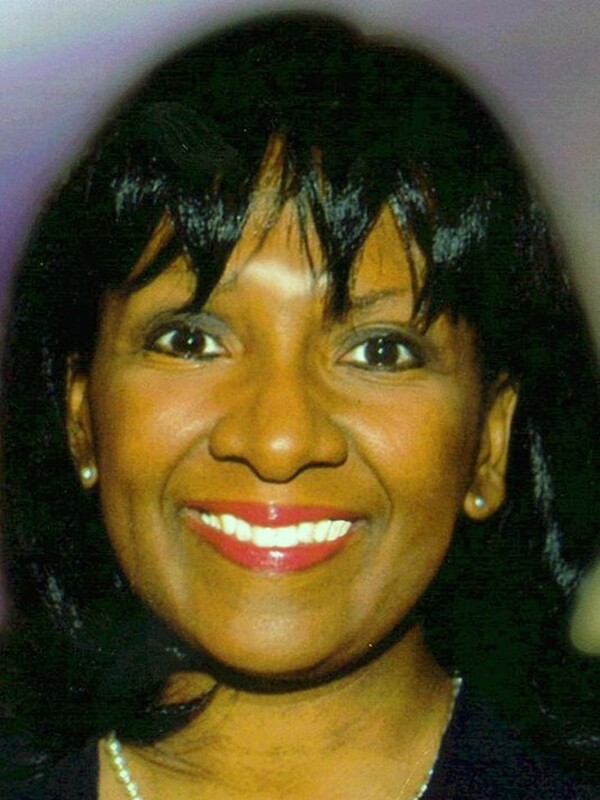 Her resume includes a stint as the president of the National Pan Hellenic Council, an internship on Capitol Hill with Congresswoman Brenda Lawrence (D-Mich), and two positions on the board of the National Association of Black Accountants. She's been a Google Student Ambassador, she sat on MSU's Sexual Violence Advisory Committee, and she's studied abroad in six different countries. Priorities: Jones says she'd like to change the focus of Detroit's revitalization from downtown and Midtown to the city's neighborhoods. Plans: "The residents outside of the 7.2 square miles that make up downtown Detroit have been kept out of the conversation regarding the city's comeback and it's time that we acknowledge their voices. Revitalization has often been coded language for what many know as gentrification. However, in order to return the city to its prominence, our scope must encompass all of Detroit. The greatest need of those living in Detroit's neighborhood is having their voices heard and respected." "Accountability must be a priority to earn and maintain the trust of our citizens. Our goal is to create a bridge of communication, where the concerns of citizens are heard on a consistent basis. Too often their voices are silenced, but this is not our cause. However, it doesn't stop there. Once issues have been addressed, there should be a publicized progress report as to where we are in resolving concerns on a consistent basis." On Detroit's "turnaround": "City services have improved, employment of Detroiters is up significantly, businesses are investing in the city at rates we haven’t seen in decades. 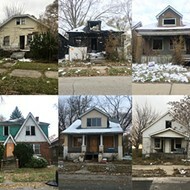 We’ve lost people and population for 60 years and the rebuilding process is enormous, but Detroit’s decline has ended." What defines a turnaround in Detroit? "Turnaround involves stabilization of finances, reduction of blight and improvement of quality of life in the neighborhoods, improvements in employment opportunities, growth in business investment, and improvements in city services." What were your biggest accomplishments during your first term? "Established positive working relationship between Mayor and Council, Mayor and Lansing, Mayor and unions; balanced budget for three straight years; improved city services; helped reduce unemployment rate more than 50 percent." What are the biggest issues still facing the city of Detroit? "Car insurance remains much too high. Need state legislature to reform no-fault law to eliminate the rate gouging from a small group of lawyers and medical providers." How would you begin to tackle each of these problems? "Refer to previous answer." This post was updated August 9, 2017 to clarify that it was a judicial panel that deemed Brenda K. Sanders mentally unfit to perform her duties, and that she disagrees with the findings.